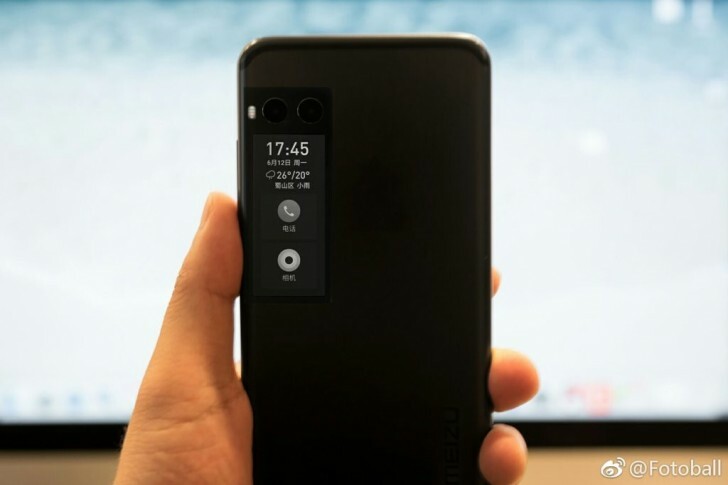 Meizu Pro will have a display behind it. It’s an e-ink display that shows certain info like weather updates, time, date and a bit of shortcut. Hope sometime, user would be able to read Ebooks with it. E Ink (electronic ink) is a paper-like display technology, characterized by high brightness and contrast, a wide viewing angle, and ultra-low power requirements. This display kind can be found on Yota Phones. meizu will be the second to add that. Above this rare display you have dual-cameras of about 13mp and above “just to say’. More specs for the Meizu Pro 7 is a 5.2-inch AMOLED screen with 3D touch capabilities. Powering the Meizu device is rumored to be the MediaTek Helio X30 paired with 6GB of RAM. E-ink will soon be the next trend just like the dual camera thing.